Another successful Optometry’s Meeting is in the books having taken place in Washington DC from June 20 – 24. 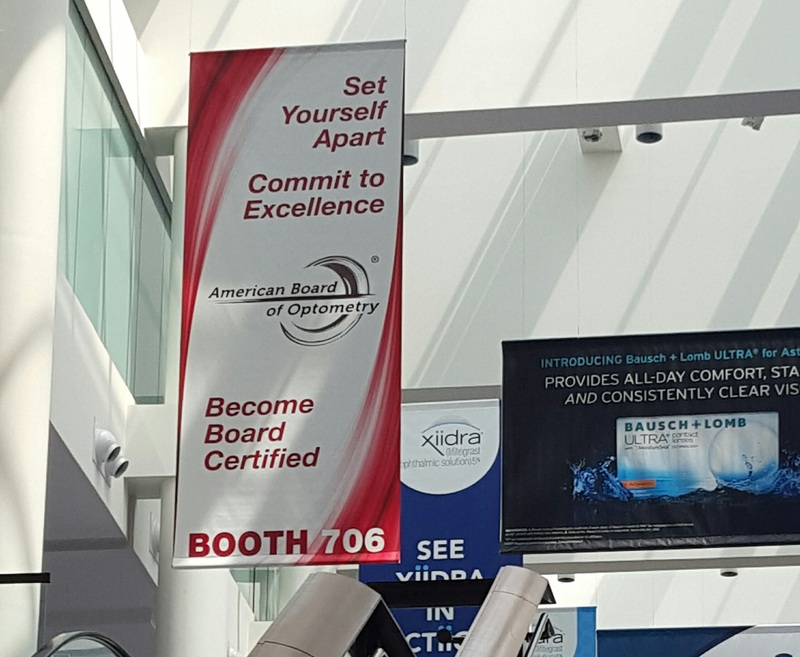 This is always a productive time for ABO, with a booth in the exhibit hall and the opportunity to meet with key members and groups in the profession. Our Executive Director, Dr. James Vaught and Board Chair, Dr. Barbara Reiss, met with the AOA board to provide an update on our activities and discussed ways to work together to advocate for board certification. Our incoming Board Chair, Dr. Erich Hinel, and our AOSA student liaison, Kathryn Brogan, presented to the AOSA board. ABO also held discussions with ARBO and several other key optometric professionals. In the exhibit hall, our booth was stocked with updated literature and staffed by knowledgeable ABO board members. And just for a bit of fun, we held two raffles for an Amazon Tap; one for ODs and one for students. Our OD winner was Dr. Charles Harrill, an ABO Diplomate from Mechanicsville, Virginia and our student winner was Tran Luong from UAB. And finally, as with all conferences, the best part of the event is getting to talk with our Diplomates and potential Diplomates about their experiences and thoughts on board certification. Here are some highlights of what we heard.